Available now in English and French, in print, digital and audiobook. Robustness is the ability to deal with easy and challenging conditions, to act with courage and to accomplish the necessary while there is time. We live in a world of deficiencies and excesses, and the only miracle, life, only exists thanks to balance. This equilibrium is fragile: humanity’s almightiness threatens to destroy it. Processed foods give us more empty calories than ever before but fewer nutrients. We lose the taste of real food. Life expectancy lengthens, but available time shortens. We receive notifications and interruptions, reducing our ability to focus, to pursue deep work, and to prioritize. Instead of concentrating 5 hours at a time, we are invited to switch every 5 minutes. The challenges of carving freedom, calibrating quantities and allocating time have existed at least since the writings of Hippocrates and Seneca over 2,000 years ago, and later on in the works of Paracelsus and Nietzsche. Modernity amplifies the phenomenon, but is not the issue. It is how we approach life that is. These are the challenges we discuss in Robustness, by combining disciplines that are often seen as opposites: passion and rationality, freedom and determinism, epicureanism and caloric restriction, metaphysics and physiology, statistics and life stories, not how to choose between one or the other, but using both. While popular ideologies paint the world in black or in white, the world needs truth. 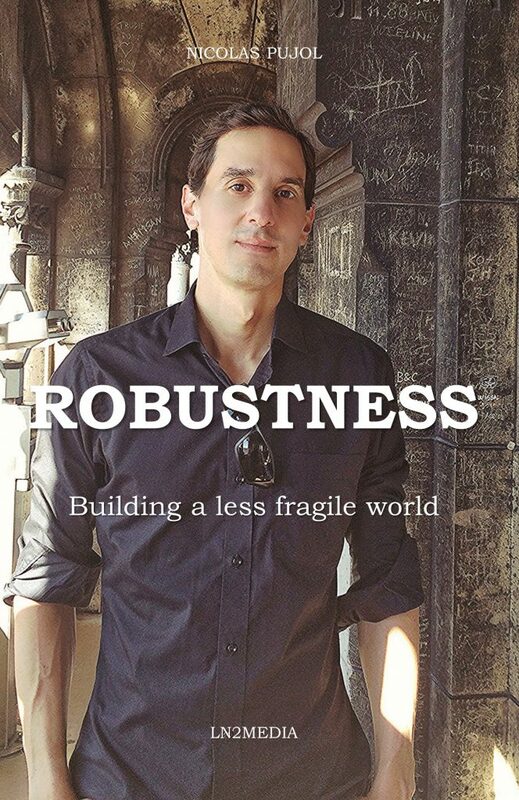 Robustness embarks the reader on a hedonist manifesto, a joint venture reconciling the divided domains of science and philosophy. The project took Nicolas Pujol to libraries research labs meeting scientists, to unexpected encounters with adventurers on volcanos, and to learn the methods and poignant stories of Robert Marchand, the oldest athlete on the planet. This book is for life enthusiasts: fitness and sports practitioners, epicureans who like to experiment, to taste all flavors with all senses, and those who want to live without indifference, conscious that because life isn’t fair, only us can make it more so.